Posted in: 2D, CG Releases, Downloads, Learning, Torrent, Tutorials, Videos. Tagged: Pluralsight, SolidWorks. 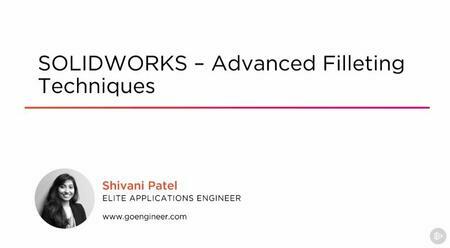 This course will show you all the capabilities within SOLIDWORKS’ Fillet feature, with examples of when to use them, and the pros and cons of each. Simple circular fillets taught at beginner level SOLIDWORKS cannot create the complex geometries needed from ergonomic or molded part design. In this course, SOLIDWORKS – Advanced Filleting Techniques, you’ll see many alternative filleting methods for creating these shapes, which can give you a lot of control over these blends. While modeling a plastic gas can from scratch, you will be introduced to the fillet and chamfer features in their entirety. Failing fillet features will also be seen, and new fillets will be used to fix them. By the end of this course, you will have a solid grasp of the fundamentals, best practices, and familiarity with the filleting tool so the fastest, and best option can be used during your CAD modeling process. Software required: SOLIDWORKS.